“Mom, we were counting our family members in school today.” The Kindergarteners have been doing a lot of exercises where they “find numbers” in the world, like counting steps, trees, etc. In our house, we don’t make a big deal about Madeline. We talk about her when she comes up naturally, which means sometimes we discuss her multiple times a day, and sometimes we’ll go several days without mentioning her. I, however, say her name every day, even if it’s just to myself. I wonder what she’d be like, who her friends would be, which classroom she’d be in. I think about her without even thinking about it. Missing her has become one of my body’s automatic functions, like breathing. Protecting myself has become automatic, too. I rarely bring her up with strangers anymore. I know many loss moms never hesitate to mention all of their children when given the chance, but I don’t. Basic questions like, “Oh, do you have other kids?” don’t hurt me the way they used to. I don’t feel like I am denying her when I don’t mention her. Instead, I am saving myself the agony of having to answer additional questions, having to relive it, having to watch a person I don’t know process this complicated answer to their simple question. I know about her, the people who love us know about her, and our future friends will one day know about her, too. Of course, the people who surround Annabel at school every day aren’t strangers, not anymore. But this is her domain, so I follow her lead. Her drawings are of the four of us and Rigby. She said that one time she mentioned she had an older sister, but her friends were confused. I explained to her why they might be confused, and I reminded her that she only has to say what she is comfortable with – it’s okay to talk about her sister, and it’s okay not to. Yes, BIG kudos to the teacher for such a great response. How lucky for Annabel to have such an understanding presence in her life. This makes me happy and sad. My SIL does not acknowledge her baby boy, who was stillborn at 37 weeks and whom I called “Little Thor” at all. What will she say to her firstborn when the pictures of Mommy and the belly are shown? She cannot possible erase that entire nine months…Ugh. My heart really hurts. We each handle our grief and loss in different ways. Just because she doesn’t say anything doesn’t mean she isn’t thinking of him and missing him and grieving for him. I lost my baby at 24 weeks over a year ago. I think of him daily, but it still rips me open to talk about it even with my closest friends and family. It’s too raw, and too intimate, for me to share him with others. Go easy on her. Maybe she’ll find a way to talk in the future, but for now it’s her baby and her grief and she needs to do what helps her get out of bed every day. I have been where she is…and I don’t understand. I understand privacy, grief and the raw feelings. They did not name the baby, they did not have a funeral, they took the nursery apart the very day she delivered Baby Thor. It makes me worry and it keeps me up at night. I cannot mention this out loud to either my SIL or BIL. I don’t know if she needs help and I don’t know that I could help her if she asked, but from this side of reality it doesn’t seem like a good thing. Why are you making this your business. All of what you say seems to be coming from a place of YOUR idea of how things should be. They are entitled to keep this private. You are only the SIL – who knows what they do or do not discuss in private. THIS IS NOT YOUR CONCERN. I am venting my concern. Sorry you can’t understand that. I already know it isn’t my business how they are dealing with their loss but it does not mean that I have to shelve my concern. You are a super compassionate person, I can see. Katherine…You are spot on…I just wish I could help. Even though I share some of the same experiences, the silence is deafening because I am different…I don’t know if my words or thoughts would make things more raw, so I am silent. I just want her to be as okay as she can be. She’ll figure it out when it crops up. The thing about a personal tragedy is, the person who’s had it figures out how to grieve for it, not bystanders. I love her teacher’s response. Great teacher! Goosebumps. What a simple and complicated realization that the world is not black or white and that there are often many answers to a simple question. Good for that teacher for rolling with her students. Good for Anne for believing in her answers. Yikes – Sorry, Annie. That’s what you get for typing before coffee! I have goosebumps. Annie has such a kind, caring, and wonderful heart. Her teacher sounds like a winner! I love the teacher’s answer. What a legend. Raising such sweet, loving souls! This made my heart ache, my eyes tear and my mouth form a smile as to how amazing your beautiful Annabel is! 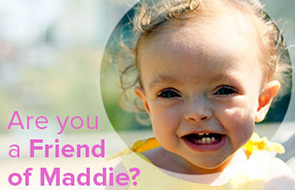 For myself, I cannot see or wear purple without thinking of your Madeline. Now that’s a smart and sensitive teacher! Yahoo! Now that is one brilliant teacher! Just beautiful. Love to you all. All 4, 5, and 6 of you. That makes my heart itch. We’ve always talked about our daughter Eliza who was stillborn with our daughters who were born after her, but I also am selective about who else gets to know this information. We attended a remembrance walk last weekend, which prompted lots of (hilarious and heartbreaking) conversations with our three-year-old. We also mention Eliza in everyday conversations sometimes, and go days without mentioning her at other times. Like you, I also want the inclusion of her in our family to be natural and not forced or weird, so I plan to follow their lead in terms of what they decide to share or include in school projects. I wish simple questions weren’t so loaded for some of us. I’m glad her teacher had the right answer. That is one smart teacher! Lately I have been wondering just how I’m going to answer the “So, how many children do you have?” question, when people ask me. Right now, I have ten children and our 11th growing in my belly. However, the new baby has Trisomy 13 and his life is expected to be short. Maybe a few hours, maybe a few days, or a month, or six months. But short. So, I know my future. I am going to lose a baby. My heart will soon know this same ache and loss that your’s does. I do not want to fall off this cliff, but yet as each day passes I crawl further to the edge. I know what’s coming. I’m trying to prepare, but really…how does a mom prepare to say good-bye to a piece of her heart? I don’t think there’s really anything we can do to truly prepare for this kind of loss. And when, in the years to come, stranger ask me, “How many kids do you have?” do I say TEN? or ELEVEN? or do I just let each circumstance play out on its own? Like, maybe if it’s someone I will never see again (like on a vacation) then I will say ELEVEN, and I can list all of their names, without worry that this new person will even ask about the last one who is no longer with us, because how will they know he is no longer with us if we never see this person again? Or what about Christmas? Do you put out a stocking for the baby who is no longer there? I’m thinking yes. What about when you sign Christmas cards? Do you put the child’s name on the card? I’m thinking…no? What do people do? You’ll figure the answers out as you go along, and as long as you can figure out a rationale for them (see below), no answer is truly ‘wrong’. So sorry, Katrina. I found your blog through Heather’s, but haven’t kept up as of late. Sending thoughts and prayers for you all. I have been thinking about you SO MUCH lately. I really hate this for you. I don’t want you to know this side of grief. Let me know if I can do anything for you, Katrina. My heart is breaking for you. I feel so much the same. I don’t bring her up and when asked I say I have 5 children. Unless it is someone who will know my story eventually. Ugh. I hate it. It has always amazed me how each of my children address her with their friends, classmates, and teachers. I notice a distinct drop off of talking about her and drawing her in family pictures when they hit 1st grade. Not sure why, but they do. I just follow their lead. Perfect answer, very smart teacher! Not to take any credit away from the teacher, but yeah. If you count Rigby, it is 5. If you count Rigby and Maddie it is 6. I remember going through my teaching program less than a decade ago and being told more than once that any answer a child gives to a problem is correct so long as they can explain the rationale behind his/her answer. So kudos to Annie too, for explaining what she was thinking. That is to say, you look at the understanding the child displays of a concept, not whether they got the “official” answer (or I suppose you always could decide to insist on the “official” answer if you’re okay with being responsible for yet one more child hating math :/). The dean of my college department(English and Modern Languages) basically told us the same thing one day. We were all stressing about a quiz that had quotes on it from David Copperfield (which I’m pretty sure few of us in the class actually read ). She told us that she gave the credit more for the rationale than who we actually thought said the quote. If our rationale as to WHY we thought someone would say the quote was on-base, we got credit, even if the person we attributed the quote to was incorrect. It mattered more to her WHY we thought it as opposed to if we knew who said what–that we could see a quote and rationalize/explain why we thought a particular character said it. It saved all of our asses on that quiz! And it totally makes sense to me– our rationale/explanation as to why helps us more in the end– it helps us extend our thinking beyond a right/wrong answer. By explaining, we learn. lovely post, and beautiful answers by Annie and her teacher. I would be honored for you to read my book about the loss of my eldest daughter, Michaela. So much of your writing resonates with me.